My mother has lived in four assisted living facilities. As her dimentia progressed, no where was able to cope with her moods without drugs which inevitably led to falls. Bridges by Epoch allows her to be herself. With easy acces to a beautiful, large courtyard garden, plenty of enguaging activities and an intelligent, qualified staff, my mom is finally at peace, medication free and living a quality life. I love visiting her there. The best way to get to know a community is by scheduling a tour. 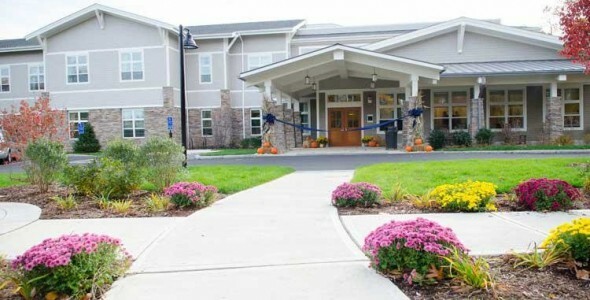 See the facilities, meet the staff and residents, and get a feel first hand what it's like to live at Bridges by EPOCH at Trumbull Memory Care. A unique brand-new community that incorporates the latest technologies into a caring setting that feels like home, Bridges by EPOCH at Trumbull offers a supportive memory care environment for seniors facing the daily challenge of Alzheimer's or other forms of dementia. Our wellness-focused programming is specially tailored for seniors with memory care needs, and we take the time to know each resident to better serve their specific needs. Formed with a deep commitment to ensure a carefree, healthy and happy lifestyle, Bridges by EPOCH at Trumbull is managed by EPOCH Senior Living. Founded in 1997, EPOCH continues to provide a continuum of excellent senior services. Meals at our community are chef-prepared and served three times daily in our elegant community dining room. There are numerous commons areas throughout our community that include comfy sofas and fireside seating. These spots are ideal for enjoying a quiet moment or socializing with visiting family and friends. Our library is stocked with a wide selection of reading materials, and outside there is a secured sensory garden. Resident apartments come in both private and shared arrangements, each with its own bathroom with a step-in shower and emergency call system. Residents are encouraged to furnish their accommodations with favorite possessions and keepsakes. All residences at Bridges by Bridges by EPOCH at Trumbull receive regular personal laundry, linen and housekeeping services. We also provide local scheduled transportation for our residents to reach their local appointments. We are one of the few memory care communities in Connecticut to provide late- stage memory care. Namaste, our late-stage memory care program, is designed to offer a peaceful, non-isolating retirement living experience where seniors with severe dementia can lead calm lives free from chaos and stress. All residents of our community are supported by our caring staff twenty-four hours a day, seven days a week. Bridges by EPOCH at Trumbull offers a complete memory care experience for seniors facing the daily challenge of dementia.